Honor View 20 vs Huawei Mate 20 Pro: Which is better? 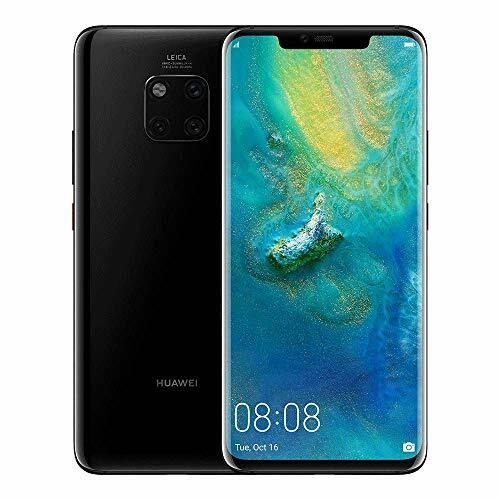 With the imminent UK/EU launch of the Honor View 20 the obvious comparison to be made is the Huawei Mate 20 Pro. With Honor being a sub-brand of Huawei, it will be the second phone to feature the HiSilicon Kirin 980, which for now, is the best system on chip available on a phone. They also both feature similar memory configurations but the Mate 20 features the new expandable nanoSD card that Huawei developed. With the Honor View 20 being launch a few months after the Mate 20, they have had time to integrate two of the big features we will be seeing this year for phones. The first is a punch-hole camera, allowing them to eliminate the need for a notch, which is found on the Mate 20. Though at the moment only IPS displays can utilize this new feature (Samsung will have a punch-hole AMOLED) so the overall screen quality will be lower than the Mate 20 Pro. It also has a lower resolution of 1080 x 2310p vs 1440 x 3120 pixels. If I am honest, I can barely tell the difference with these resolutions on a mobile, certainly not enough to put me off buying the lower resolution option. The second feature is the new 48MP Sony IMX586 sensor that we will likely see on a lot of flagship phones this year, this is in comparison to the 40MP sensor on the Mate 20. However, the Mate 20 Pro has an additional 20MP ultra-wide lens and an 8MP telephoto lens allowing it to feature a 5x optical zoom. Initial reviews are coming out showing that 48MP Sony IMX586 sensor is superb, but you will have less flexibility compared to the triple camera of the Mate 20. The View 20 will have one other significant advantage over the Mate 20, and that is price. It should launch for £499 making it one of the most affordable flagships on the market and £300 cheaper than the current Mate 20 pricing. You do make some sacrifices for that lower price though, the battery is smaller at 4200mAH and the fast charge technology is rated lower at 22.5w vs 40w. The Mate 20 also features QI wireless charges rated at 15w. The Mate 20 Pro is also IP68 dust/water resistant (up to 2m for 30 mins) whereas the VIew 20 has no rating at all. Overall, it is hard to say which is the better phone, I haven't had a chance to review the View 20 yet so at the moment it is just speculation. The lower price will likely make the View 20 very popular, but I still love my Mate 20 Pro, and I think it has enough additional features to justify the extra money. Plus I am clumsy to the IP68 rating helps a lot.